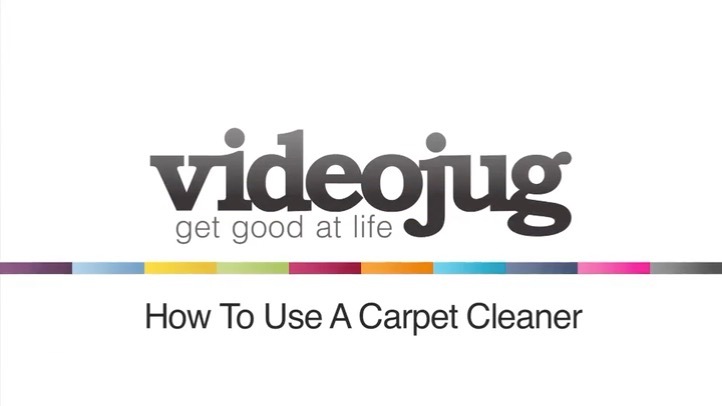 This video explains how to connect your new carpet cleaner and the recommended method of using it to clean a carpet floor. This is a video on how to use a carpet cleaner. First of all, you need to choose your chemicals. This is carpet cleaner shampoo with a built-in deodorizer . If you have got any heavy stains, you can use a stain remover. Basically, you just spray it onto the carpet before you clean the carpet and it will take the stains out for you as well. Okay, to use a carpet cleaner, what we have got here is the handle. This is going to be the main part for cleaning the carpet. Also, in the back, we have a hose. So, basically, what we are going to do, we are going to clip the machine together, push one on, this is your water hose, and we are going to the exact same into the machine as well. Pull the sleeve back, push it onto the machine and that locks it on. To remove it, pull the sleeve back and pull it off. Okay, in the back of the machine is where the actual fluid is going to go. So, what you will probably need is, in this cap, probably about 8 to 10 caps of this shampoo. Pour it into the back of the machine. What you need is some lukewarm water into the machine, there is a max mark indicated in the back of the machine – just fill it up to that mark there. Unravel your wire, plug it into your mains and you have got two switches here. One will be for spray motion and one will be for the suction motion. First of all, you want to turn the spray motion on, then start on the corner of the room, so you know where you have been. I usually choose about a 1 metre by 2 metres squared area. And then, on here, there is a trigger – start spraying the carpet and leave it to soak in for about a minute or so, while you spray in another area. Once you have done that, go back to the beginning part, turn the suction on, put the wand straight onto the carpet and if you slowly drag back, you will start to see the dirty water being sucked up which is going to go into this bucket here. Once you have done that two or three times and you have done the whole carpet, and the back is empty of water and the bucket is full, turn the machine off, take the lid off and then you have your dirty water in the waste bucket here. Then, all you do is you pour it down the drain or a toilet to get rid of it and then just start the procedure again. And that is how to use a carpet cleaner.